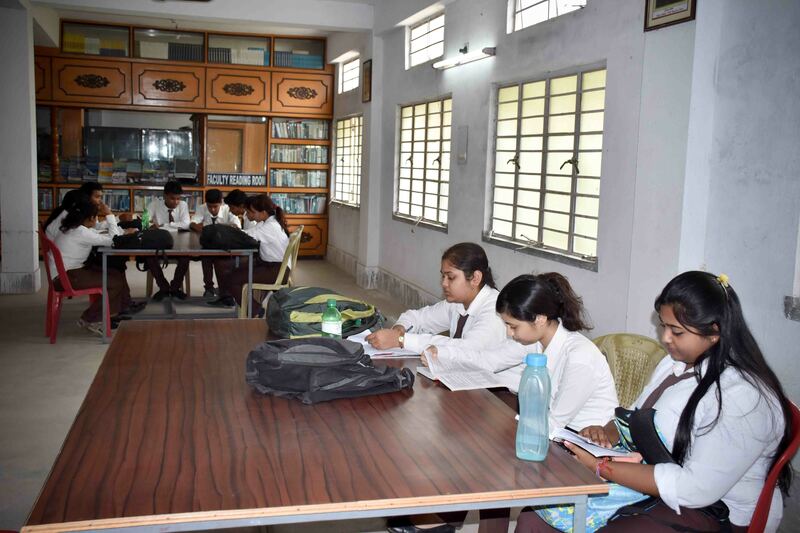 The Central Library of IMPS College of Engineering started in an classroom at IMPS in the year 2003 and now shifted to present building at IMPSCET . The library activities and services are fully automated using Library software. The Library is well equipped with modem facilities and resources (print and electronic) in the forms of CDROMs, DVD-ROM, online databases, micro-documents, books, journals, theses, reports, etc. To build the library as a center for Excellency in accessing the right information at a right time to the right user. To embraces the principle of Excellence in advancing the Teaching, Learning, Research, and Service by providing extensive access facility and use of library and through the provision of reference and instructional services. The Library was established during the year 2003 with the collection of 4000 volumes of books. Within a span of 12 years it has grown with the collection of 15,500+ volumes of books, 35 Journals, 15 Magazine and 3 Newspapers. In the Library, lending card will be issued to students to transact with the library facilities. Each student will be issued 2 books, Journal and Magazines to support and enhance their specialization. 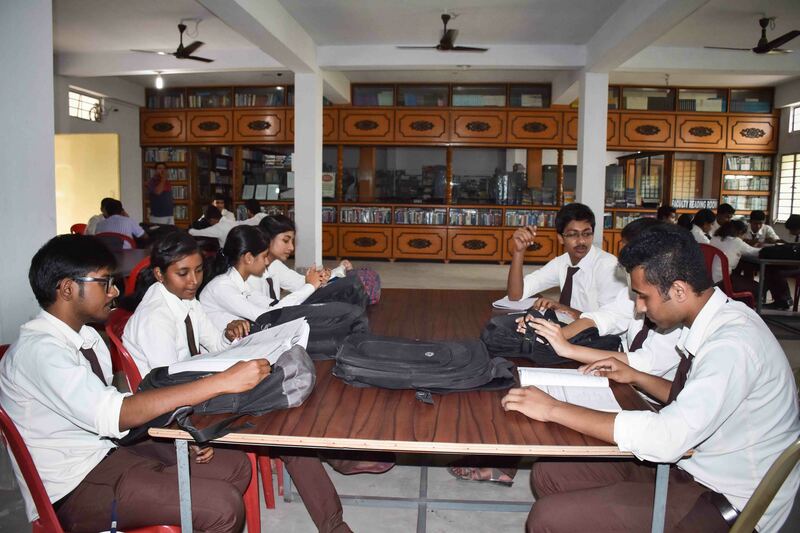 The infrastructure has a centralized and open access facility of books for students and staff. There is book Bank facilities to borrow the 5 or 6 books. 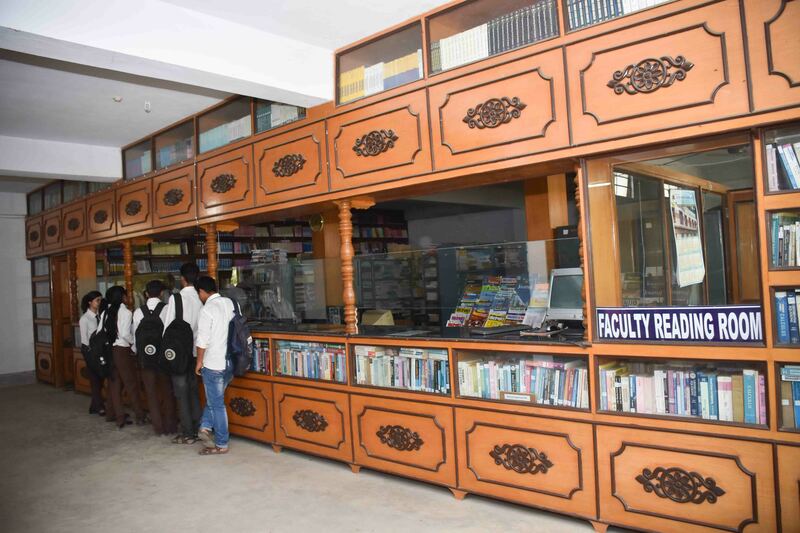 Well equipped and furnished separate reference and issue section have been maintained for the benefit of students and staff and separate journal and newspaper section is also maintained. Back volumes of journals are also maintained to facilitate the project work. Thus our library acts as a catalyst for our students to turn into Quality Engineers. 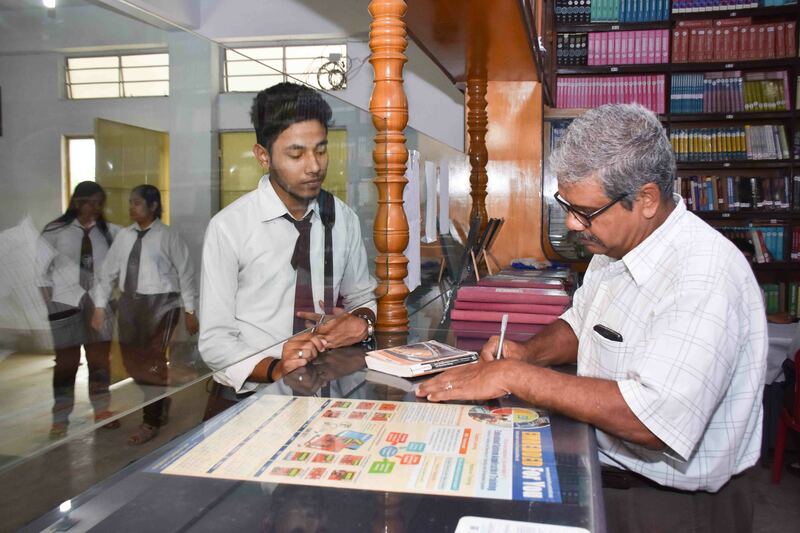 To Enroll as Library Members the Students shall have to fill in the prescribed application and submit the same along with 2 latest Passport size photographs along with necessary receipt/s of the Library fees/Deposits. The faculty members may enroll themselves as library member on production of a copy of the appointment orders and 2 Passport size latest Photographs. Users should carry their identity cards while entering library. Each UG student member is entitled to Borrow 2 Books from the main library except from book bank. All the students should renew their Borrower's tickets at the start of every Odd Semesters. The members can retain the books with them for a period of 7days only. Overdue books will be charged with a stipulated fine. Members with long over dues will lose their library membership. Books once lent out of the library should not be carried back into the library before discharging the same at the Circulation Counter. A borrower borrowing a book shall note that the book is in sound condition, before leaving the Circulation counter. He/she will be responsible for any mutilation or damage caused to the book after it is lent out. If the books borrowed is a part of a set or volumes & the same is damaged or lost the borrower concerned shall be liable to replace the whole set. In case the lost books are not replaced with new one, the borrower will have to pay twice the cost of the book. Reference Books, Periodical publications, Dictionaries, Encyclopedias, Handbooks & such other are declared as Reference and shall not be lent out of the Library. A member who loses the Borrower's Ticket shall lodge a written complaint of the same to the Librarian. Duplicate tickets will be issued in such cases only after a period of 30 days from such notice & paying the prescribed fee. The Member shall be responsible for any misuse of the Lost Borrower's card. The Members are requested not to misplace the books from one place to another. They shall leave the books on the reference tables. After verification the library staff will replace the books to their respective positions. Members are prohibited from - chatting, smoking, and carrying the bags, umbrella windcheaters, boxes & other receptacles into the library. They should not carry their personal books (reading materials) into the library, except in special cases with the permission of the librarian. Members are requested to keep their belongings at the entrance of the Library. However they are advised not to leave cell phones, purse, money, credit card and other valuables in the handbag outside the library. These items are liable to be lost. Strict and absolute silence shall be observed in the Library. Under special circumstances, the librarian have power to refuse admission. The library remains open on all the working days except Wednesday and Thursday (being weekly holidays of the Institute) and Library will remain CLOSED on All other Holidays. The opening hours of the Library are from 9.00 AM to 10.00 PM. All Library services are provided from 9.00 AM to 10.00 PM. IMPS College of Engineering & Technology, College Hours situated at Malda, is an institution laden with lot of commitments and host of convenience and aspiration, focused on delivering quality education in North Bengal and surrounding region.